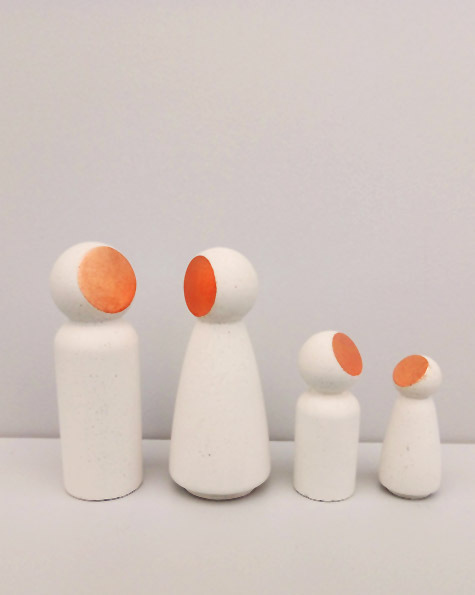 A charming set of little figures. Hand cast from our marble composite and finished with gold or copper leaf. A representation of your own family, your friend’s family, a marriage, a baby, a nativity scene?